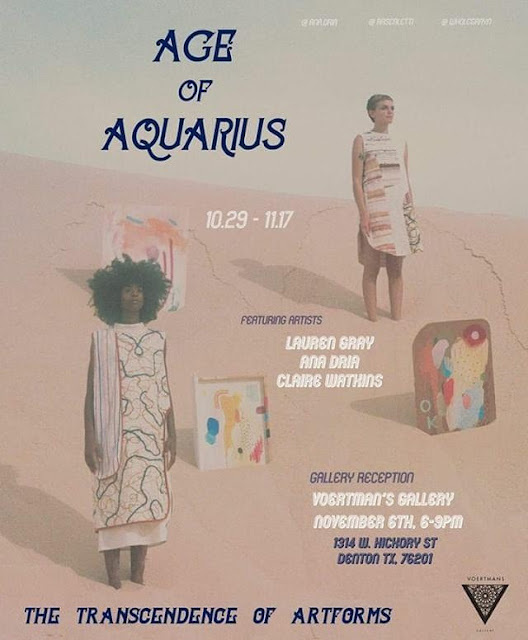 Fashion Design and Fibers double major, Lauren Gray, will be featured in a group exhibition at Voertman's Gallery. Lauren will be showing five garments alongside works from Drawing and Painting major, Claire Watkins, and Photography major, Ana Dria. The gallery is located at 1314 W Hickory St, Denton, TX 76201. The exhibition opens Monday, Oct. 29th and runs through Saturday, Nov. 17th. The gallery reception is on Tuesday, Nov. 6th from 6-9pm.